When you've accumulated points on your license, you often find yourself in the position of needing to reduce them. There are several reasons to attend traffic school in order to lower the number of points reflected on your license. Perhaps you're in danger of losing your license due to repeated infractions, or maybe you just don't want to deal with an increase in your insurance rates. 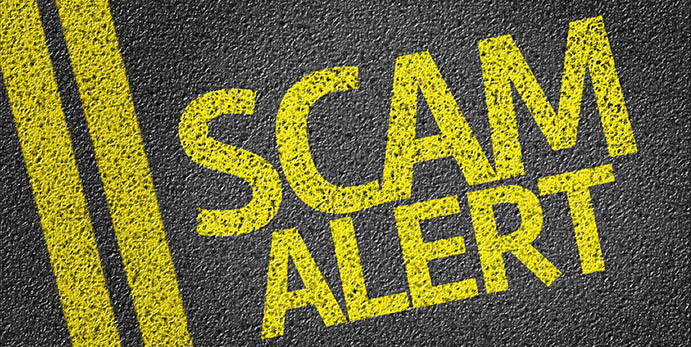 Regardless of your reasons, when you choose to attend a traffic school in Florida, you want to make sure you're not the victim of a scam and that you don't end up being caught by a bait and switch pricing tactic. Many traffic schools offer what seem to be inexpensive up-front rates. "For just $7.95, you can remove points from your license today!" "Attend traffic school online for just $9.95!" The inexpensive up-front cost pulls you in, leading you to assume that the school is offering the most inexpensive option for removing points from your license and getting your driving record back to its usual sparkling condition. Unfortunately, those low fees don't last long. You chose the so-called cheapest option for your online traffic school. Unfortunately, it's not destined to last. Once you register and select the course you want to take, you'll find plenty of fake fees associated with the course that will drive your price up and eat away at those savings. In many cases, you'll end up paying more for those fees than you would have if you'd chosen a more reputable traffic school to begin with. Some will claim a "certificate fee" — that is, you can take the course for their low price of $7.95, but you can't get a certificate showing that you completed it without paying their certificate fee of $19.95. Others push the blame off on the state: you have to pay a "state processing fee" in order to complete the requirements. Here's a hint: Florida does not charge a driver any state processing fee. The goal, of course, is to convince you to go ahead and hand over the money, even though it's substantially higher than what you thought you were paying. You've already chosen a school and decided that this was the one you wanted to go with. You've registered with the site. Now you just want to get the class finished so that you can get back to your regular responsibilities. Not only that, you may assume that every school offers these fees — and that's simply not the case. At TrafficSchoolOnline.com, we don't play games with our customers. Instead, we lay out our fees in a fair, upfront way. What you pay is what you pay, with no hidden fees that will come up during the registration process. We understand that when you take one of our courses to reduce the points on your license, you need a responsive company that will ensure that you get your records quickly and efficiently, removing the points from your license before you face any other penalties. Not only that, we want to offer a solid price that you can count on: no hidden costs that don't appear until you've already started the process. Your Google search for a Florida traffic school will be filled with false promises: "the cheapest online traffic school," "traffic school for just $6.95," and "the lowest-priced traffic courses online" are just a few of the promises that you'll find in the first page of results alone. Unfortunately, many of those are false promises that will fail to deliver the results — and the savings — you need. By choosing TrafficSchoolOnline.com, you can rest assured that you're getting a high-quality online traffic school where the cost is given openly up front. We didn't invent traffic school. We just perfected it. What if you could protect your driving record without leaving home? How could traffic school be more accessible? Steve Soldis asked himself these questions and forever changed traffic school for the masses. Steve, CEO of Traffic School Online, received a ticket in 1996 on a Californian highway. To avoid points on his record and increased insurance rates, he opted for traffic school. Steve found out the nearest traffic school was over 30 miles away. He was then committed to making the traffic ticket experience more convenient. He originated the idea of an online traffic school as an alternative to an in-person class. Steve's idea gave drivers a new way to fight traffic tickets.